KOCHI: The Kerala High Court on Monday stayed the state government order imposing a ban on conducting classes for standards IX-XII in CBSE schools during summer vacation. The Director of Public Instructions (DPI) had earlier issued a circular banning vacation classes based on the order of the Kerala State Commission for Protection of Child Rights. "Merely for the reason that the CBSE schools have been established on the strength of a NOC/sanction granted by the state government, it cannot say such schools are covered by the provisions under the Kerala Education Rules," the court observed. With this order, the CBSE schools can conduct classes after taking permission from the Regional Director, CBSE. 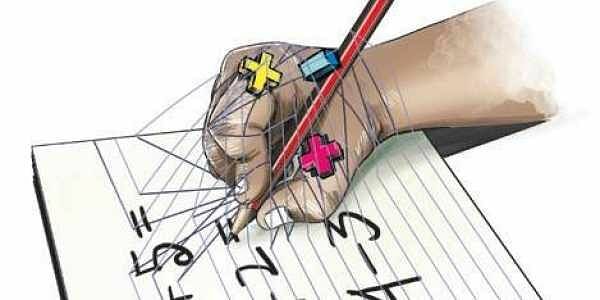 The court issued the order on 53 petitions filed by various CBSE schools, including the principal of Christu Jayanthi Public School, challenging the order. According to them, it is very important to conduct classes in May since lessons for these standards have to be completed early so as to undertake a revision of the lessons. The DPI is imposing a blanket ban by adopting the orders of the Kerala State Child Rights Protection Commission. The orders of the commission were not applicable to the students of Class IX-XII since they do not come under the definition of child. Hence, they sought to quash the commission order and also the consequential circulars issued by the government. They also pointed out the schools require about 220 instructional days to complete the syllabus. As per the statistics available with CBSE, owing to hartal and closure of schools due to monsoon/ festivals/other holidays, the number of instructional working days in Kerala was only 166. According to the state, the state commission received numerous complaints alleging the schools conducting classes during summer have no sufficient facilities to combat the extreme heat and scarcity of potable water. The schools in the public sector, including Kendriya Vidyalaya and Navodaya schools, finish their syllabus within the time frame, even after following 50 days vacation plan. The court observed that the provisions under the Right to Education Act can be applied only to schools imparting elementary education from Class I-VIII. In that case, the state commission cannot exercise its powers under section 31 of the Act. * The operation of the order and the circular issued by the DPI stands stayed for the limited purpose to enable the Regional Officer, CBSE, Thiruvananthapuram, to consider the applications made by the petitioners to conduct classes during summer vacation for their students in IX to XII. * Within a week from the date of the order, the petitioner shall submit a proper application before the Regional Director seeking permission to conduct classes, specifying the dates on such classes are to be conducted. * The application should have a declaration by the management and the principal declaring the school is having sufficient facilities for conducting vacation classes, and also a resolution taken by the Parent Teacher Association. * The Regional Director should consider the applications taking into account the number of instructional days lost during the previous academic year on account of hartal/strike and fix the days during which such vacation classes can be conducted, subject to an upper limit of 20 days.